Intelligent design can be defined as a theory that holds that “certain features” of living things were designed by an “intelligent cause” as opposed to being formed through purely natural means. One player in the “war of the worldviews” is the intelligent design movement. ID has gained increasing recognition and publicity over the last several years at both local and national levels. It is especially well known in educational circles, where it has been heralded as an alternative to Darwinism/naturalism. Intelligent design can be defined as a theory that holds that “certain features” of living things were designed by an “intelligent cause” as opposed to being formed through purely natural means.1 The ID theory does not name the intelligent cause, and it does not claim that everything is designed, thus allowing for evolution/natural causes to play a role. The historical roots of the ID movement lie in the natural theology movement of the 18th and 19th centuries. William Paley (1743–1805) reasoned that if one walked across a field and came upon a watch, the assumption would be that there had to be a watchmaker—the complexity and purpose of the watch points to the fact that it is not the result of undirected, unintelligent causes, but the product of a designer.2 Natural theology sought to support the existence of God through nature (general revelation) apart from the Bible (special revelation), since the Bible was facing much criticism at that time. The scientific knowledge of that time was grossly deficient, and it was thought that natural causes were sufficient to bring everything into existence. In the last 100 years or so, there has been an explosion of knowledge about the complexity of cells, DNA, and microorganisms. Thus, the need for a designer has become even greater. The current ID movement has more than just philosophical arguments for a designer; it uses scientific evidence drawn from biology, chemistry, and physics. The ID concept affirms that living things are designed and exhibit irreducible complexity. Some examples are the biochemistry of vision and the mammalian blood-clotting pathway. These biological pathways consist of many factors, and all the factors are necessary for the pathway to function properly. Thus, evolution (which works via the mechanism of small, gradual steps that keep only that which is immediately functional) could not have formed these pathways. For example, if only three of the blood-clotting factors (there are many factors in the complete pathway) were formed in an organism, blood would not clot, and thus the factors would not be kept because they are not currently useful to the organism. Evolutionary processes do not allow the organism to keep the three factors in the hopes that one day the rest of the blood-clotting factors will form. Evolution is goalless and purposeless; therefore, it does not keep the leftovers. Necessity—did it have to happen? Chance—did it happen by accident? Design—did an intelligent agent cause it to happen? Did she have to fall? No, but she did. If we apply this explanatory filter to living organisms, a feature must be designed if the first two answers are no. The blood-clotting pathway is compatible with, but not required by, the natural laws of biology and chemistry; so it is not a necessity specified by natural phenomena. It is complex because it is composed of many factors, thus the remote probability that it happened by chance. (Note that complex structures fall into two categories: ordered complexity and specified complexity. A snowflake, although complex structurally, has little information and thus is considered an example of ordered complexity. It is the direct result of natural phenomena rather than intelligent design3). The blood-clotting pathway does show design, referred to as specified complexity, because it is complex and has a high amount of information. It is the direct result of an intelligent agent. All the factors must be present and interact with each other in a specified manner in order for the pathway to be functional. Thus, the blood-clotting pathway meets all the requirements for irreducible complexity, and so must be designed. William Dembski states, “ID is three things: a scientific research program that investigates the effects of intelligent causes; an intellectual movement that challenges Darwinism and its naturalistic legacy; and a way of understanding divine action.”4 The ID theory focuses on what is designed rather than answering the questions of who, when, why, and how. Those within the movement believe this promotes scientific endeavor by looking for function and purpose in those things that are designed, whereas an evolutionary mindset presupposes waste and purposelessness and aborts further scientific thinking. 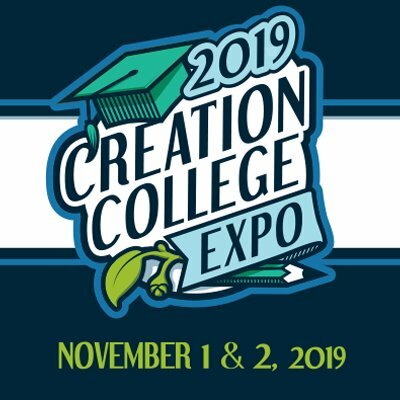 Although it may be a way of understanding divine action outside of a biblical framework, there are some serious implications for the Creator, which we will discuss later. The ID movement does not speak to the optimality of design because it does not attempt to explain all designs. Remember, only “certain features” are designed, and evolutionary processes are not ruled out. The ID movement also claims not to be religiously motivated. It focuses not on the whom but on the what. This may sound very appealing at first glance. Some biblical creationists believe that the ID movement’s tolerance and acceptance of a wide range of beliefs about the supernatural could be useful in reaching a larger audience. Since the movement is very careful not to associate itself with Christianity or any formal religion, some think it will stand a better chance of gaining acceptance as an alternative to Darwinism in the schools, because it does not violate the so-called separation of church and state. The ID movement does have several positives. 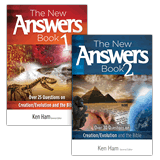 The movement has produced many resources, including books and multimedia, that support the biblical creationist viewpoint. It makes clear that Darwinism/naturalism is based on the presupposition that the supernatural does not exist, thus affecting the way one interprets the scientific evidence. ID is based on the presupposition that the supernatural does exist. However, the central problem with the ID movement is a divorce of the Creator from creation. The Creator and His creation cannot be separated; they reflect on each other. All other problems within the movement stem from this one. Those within the ID movement claim their science is neutral. However, science is not neutral because it works with hypotheses based on beliefs or presuppositions. It is ironic that ID adherents refuse to see this about their own science, considering that they claim the problem with Darwinism is the presupposition that nothing supernatural exists. All scientists approach their work with presuppositions. The question is whether those beliefs are rooted in man’s fallible ideas about the past or rooted in the infallible Word of God, the Bible. The natural theology movement of the 1800s failed because it did not answer the next logical question: if it is designed, then who designed it? Although most within this movement claimed that design pointed to the God of the Bible, by divorcing general revelation (nature) from special revelation (the Bible), they opened the door to other conclusions. Deism (another movement of the same period) took the idea of excluding the Bible to the extreme and said God can only be known through nature and human reason, and that faith and revelation do not exist. Many are attracted to the ID movement because they can decide for themselves who the creator is. In today’s culture, many are attracted to the ID movement because they can decide for themselves who the creator is—a Great Spirit, Brahman, Allah, God, etc. The current movement does not have unity on the naming of the creator and focuses more on what is designed. Thus, adherents do not oppose an old age for the earth and allow evolution to play a vital role once the designer formed the basics of life. They fail to understand that a belief in long ages for the earth formed the foundation of Darwinism. If God’s Word is not true concerning the age of the earth, then maybe it’s not true concerning other events of the creation week, and maybe God was not a necessary part of the equation for life after all. 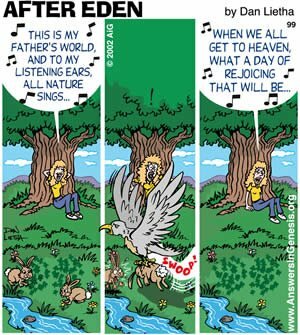 The ID movement’s belief in evolution also allows them to distance themselves from the problem of evil in the natural world. Examples of this include pathogenic microbes, carnivorous animals, disease, and death. Without the framework of the Bible and the understanding that evil entered the world through man’s actions ( Genesis 3 ), God appears sloppy and incompetent, if not downright vicious. People ask why God is unable to prevent evil from thwarting His plans, resulting in such poor design, instead of understanding that because of the Fall there is now a “cursed” design. In addition, because the ID movement does not acknowledge God as Redeemer, there seems to be no final solution for the evil in this world, and by all appearances evil will continue to reign supreme. However, when we trust the Bible, we read that Jesus clearly conquered death by His Resurrection ( Romans 6:3–10 ) and one day death will no longer reign ( Revelation 21:4 ). Again, the Creator and His creation cannot be separated. Romans 1:20 states that all men know about God through His creation. However, just recognizing that there is a designer is only the first step. Colossians 1:15–20 and 2 Peter 3:3–6 point to the inexorable link between God’s role as Creator and Redeemer. In Colossians, Paul talks about God as Creator and moves seamlessly to His role as Redeemer. Paul sees creation as a foundation for redemption. In 1 Peter, Peter states that people started disbelieving in the second coming of Christ because they started doubting God’s role as Creator. Again, God’s role as Creator becomes foundational to His role as Redeemer. Recognizing a designer is not enough to be saved; submitting to the Redeemer is also necessary. While some might consider ID to be a noble attempt to counter the evolutionary indoctrination of our culture, it falls far short of a thoroughly biblical response. We must not separate the creation from its Creator; knowledge of God must come through both general revelation (nature) and special revelation (the Bible). The theologian Louis Berkhof said, “Since the entrance of sin into the world, man can gather true knowledge about God from His general revelation only if he studies it in the light of Scripture.”7 It is only then that the entire truth about God and what is seen around us can be fully understood and used to help people understand the bad news in Genesis and the good news of Jesus Christ. Previous Chapter What’s Wrong with Progressive Creation? Next Chapter Can Creationists Be “Real” Scientists? Discovery Institute Center for Science and Culture, www.discovery.org/csc/topQuestions.php, September 13, 2005. W. Paley, Paley’s Watchmaker, edited by Bill Cooper (West Sussex, England: New Wine Press, 1997, first published in 1802), p. 29–31. See www.intelligentdesign.org/menu/complex/complex3.htm for a more detailed discussion. W. Dembski, “Science and Design,” First Things 86 (1998): 21–27. 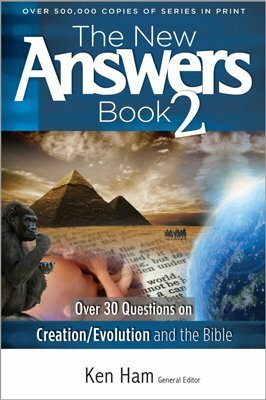 See AiG’s views on the Intelligent Design Movement, www.AnswersInGenesis.org/go/idm/. See D. Humphreys, Starlight and Time (Green Forest, AR: Master Books, 1994); and The New Answers Book, chapter 19 by Jason Lisle, (Green Forest, AR: Master Books, 2006), p. 245–254. L. Berkhof, Introductory volume to Systematic Theology (Grand Rapids, MI: Wm. B. Eerdmans Publ. Co., 1946), p. 60.